While we were enjoying the sunset behind the Marble Rocks of Bhedaghat, we realized that we were running out of time to visit the Chausath Yogini temple here. 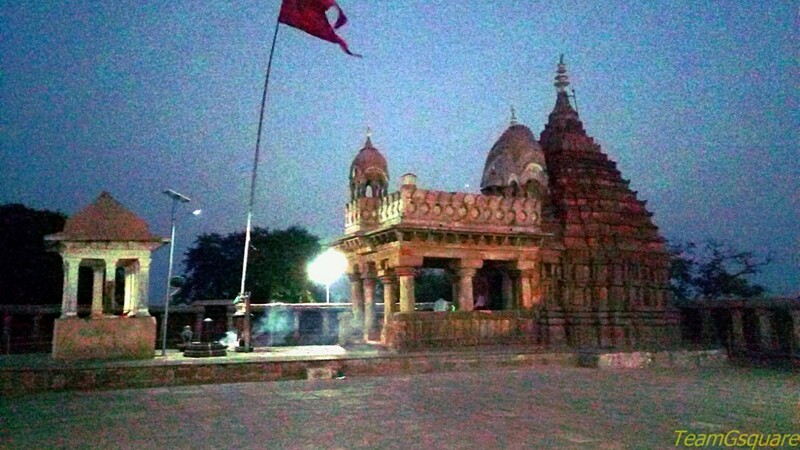 We rushed back to our car and headed towards this temple. Having visited a few Yogini temples such as that at Hirapur (Orissa), Mitawali and Khajuraho, we were excepting this to be along similar lines. The Yogini temples generally are dedicated to the 64 Yoginis, housing 64 small shrines enclosing a Yogini each and thus the name 'Chausath Yogini'. However, this temple houses 81 small shrines along its periphery unlike the 64 celled temples. The word 'Chausath' means 64 in the language of Hindi and 'Yogini' means the power of realization and the names given to the demoness/ sorceress/ woman possessing magical powers. Goddess Durga created these Yoginis to attend her and Lord Shiva. Also sometimes, goddess Durga is also referred to as a Yogini. 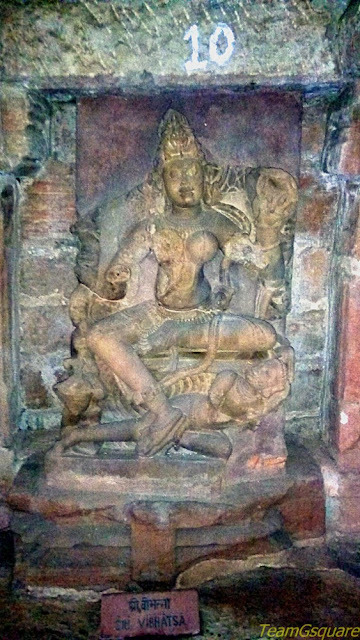 While one school of thought says that all the 81 murtis here are Yoginis, the other assumes they are the 64 Yoginis with associated Devi's, including the Saptamatrikas. Originally being eight Yoginis, with other associations they number as many as 64. They are said to have attained the form of grama-devatas or are minor manifestations of goddess Durga. Atop a hillock situated close by the Marble Rocks is the 'Chausath Yogini temple', built in the 10th century AD by the Kalachuri king Yuvarajadeva I. The temple is a circular structure with no roof. 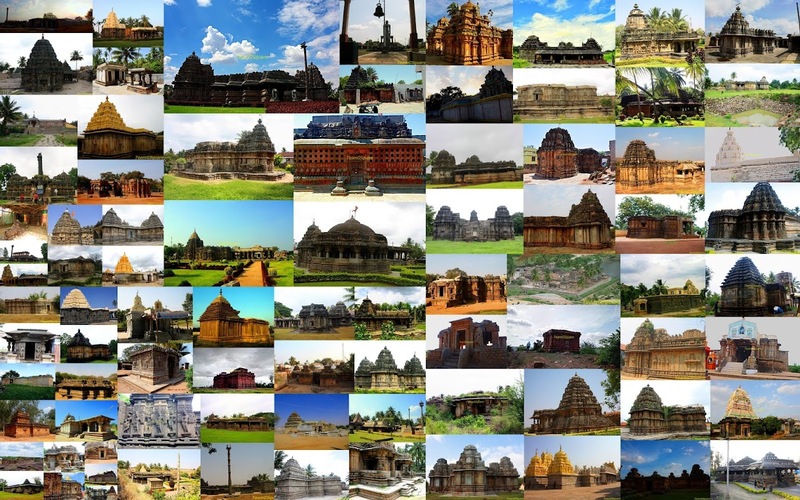 There are 81 cells/shrines at the periphery, out of which 64 are dedicated to the 64 Yoginis and the rest to other deities including the saptamatrikas. The murtis in most of the cells are either partially or completely damaged, with some being defaced. A board displaying the names of each is present below the murti, making the identification process a bit easier. At the middle of this enclosure is the 'Gauri-Shankar temple' dedicated to Lord Shiva and his consort Goddess Parvati. 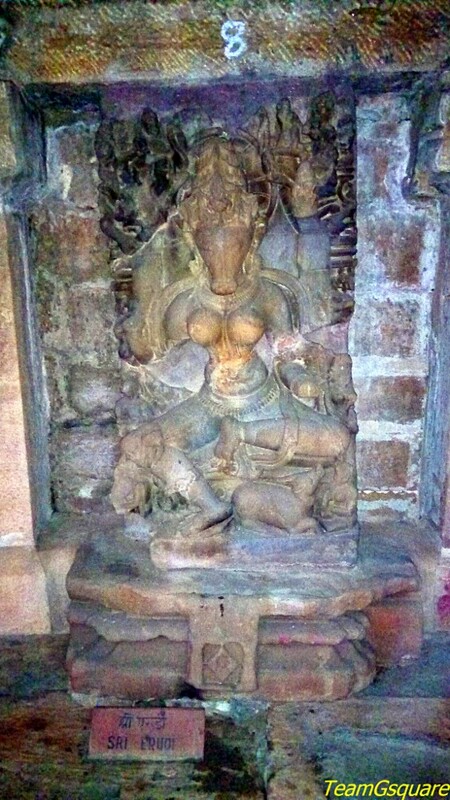 The garbagriha houses an idol of the couple deity riding on Nandi, the bull mount of Lord Shiva. How to Reach Bhedaghat: Travel along Jabalpur - Bhopal highway and turn left towards Bhedaghat. Drive along to reach the waterfalls and temple, if driving from Jabalpur. It is situated at about 25 km from Jabalpur. Entry Fee: Entry is free to the temple. Accommodation: Though we did not stay here, there are quite a a few options available for accommodation here. Hotel Marble Rocks maintained by the MPTDC on the banks of the river Narmada, one of the is best available here. Where to eat: There are many eat-outs, including a few road-side eateries. That's very true Sandeep, but by the time we reached this temple sun had already gone down..next time may be.